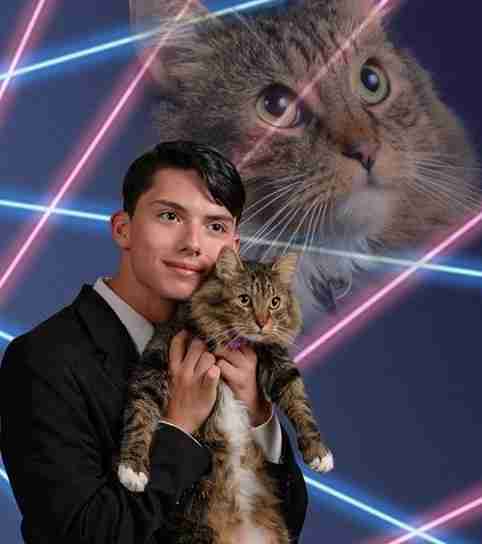 Some things are just worth fighting for - and for Schenectady High School student Draven Rodriguez, that's having this fantastic photo of himself and his cat printed in the yearbook as his senior portrait. According to local news station CBS6 Albany, school officials say that the photo featuring the fluffy feline, named Mr. Bigglesworth, can appear in the 2015 yearbook, just not alongside the headshots of other students. For Rodriguez, that's just not good enough. Since the school has yet to officially decline the portrait, Rodriguez believes there's still a chance he can get it approved. 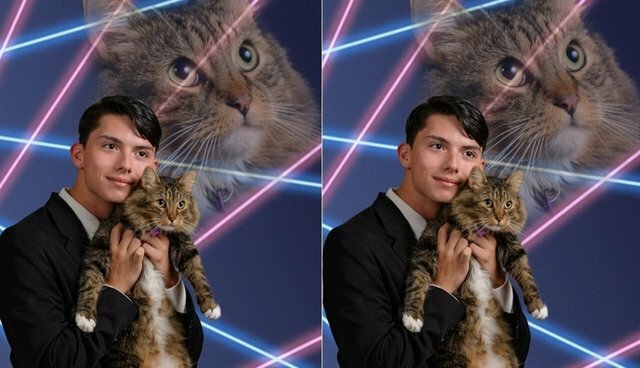 So, he's launched an online petition enlisting the support of the cat-loving public to help him be remembered how he wants to be remembered - holding his tabby cat in front of a backdrop of neon lasers.